The new process makes it possible to use natural gas in a climate-friendly manner. 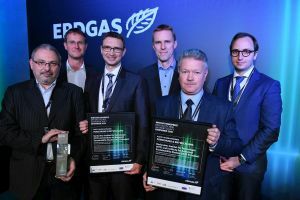 “Instead of directly burning natural gas, which mainly consists of methane, we break it up into its components hydrogen and carbon,” says Dr Stefan Stückrad who has co-managed the research project at IASS. The hydrogen produced in methane cracking can be used as an energy source in fuel cell vehicles as well as for generating electricity and heat. Applications in the chemical industry are also possible. “So far, hydrogen for the chemical industry has mainly been produced from natural gas by steam methane reforming. During this process, considerable amounts of carbon dioxide are released,” says Stückrad. In addition to hydrogen, very pure powdery carbon is created as a by-product during cracking, the importance of which is constantly increasing as an industrial raw material. For example, it is used in the production of elastomers, lightweight materials, printing inks and batteries. Methane cracking is not a new idea as such and has previously been analyzed in experiments with gas phase reactors. “Conventional methods proved unsuitable for application at an industrial scale, though,” says Professor Thomas Wetzel from the Institute of Thermal Process Engineering (TVT) at KIT. “The carbon produced during cracking was deposited on the heated reactor walls as a solid layer, blocking the reactors in a short space of time. 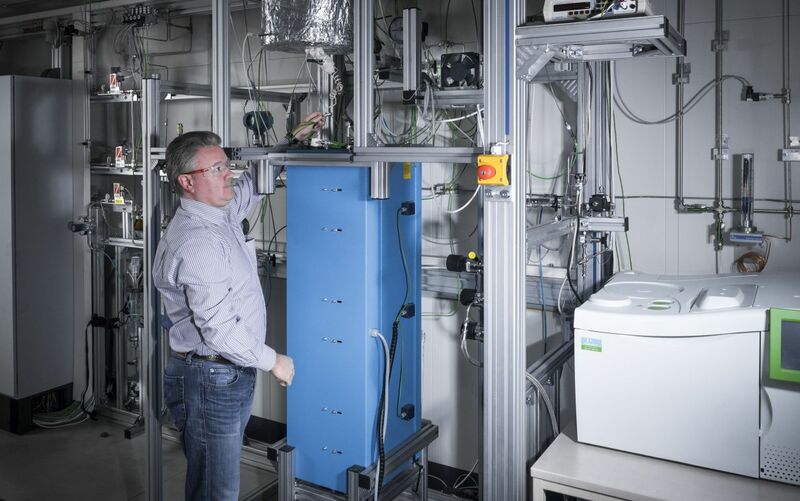 Other approaches on the basis of arc- or plasma-based reactors weren’t very successful either.” The research project from IASS and KIT has therefore chosen a fundamentally different approach for continuous pyrolytic methane cracking.